**Products Provided** Hello dolls! 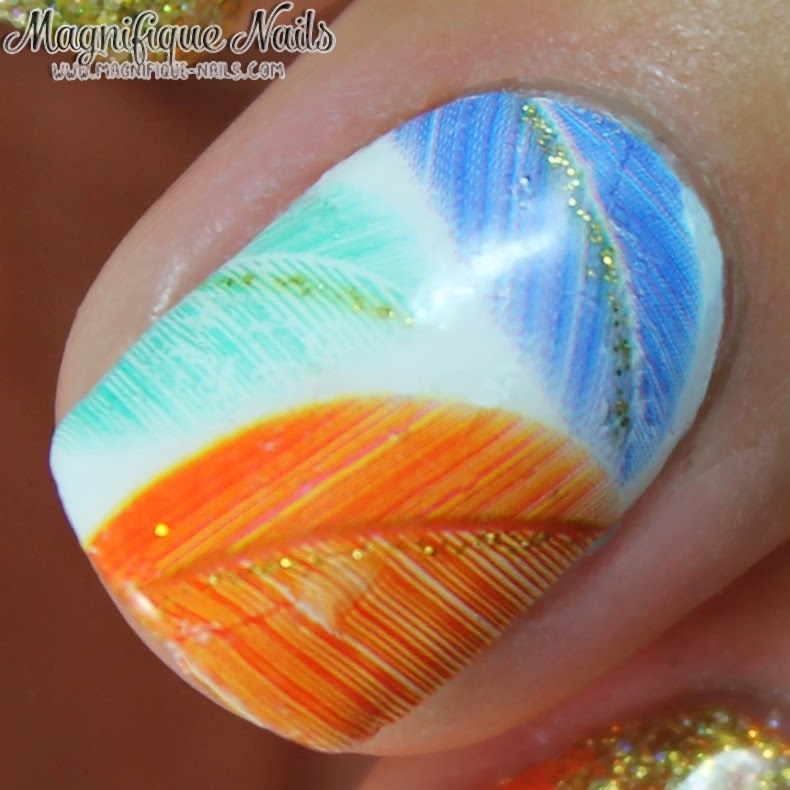 Today I would like to show you some awesome feather decals I'm reviewing today! I think the first thing that captivated me was the colors. It looked so beautiful, I knew I had to have it. I personally, don't mind using decals time to time. 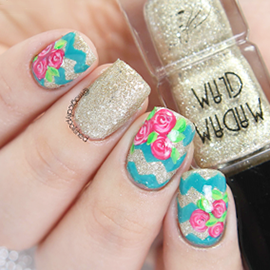 They're great to use for a quick and easy nail art design. There is only one sheet of decals in a package, with 19 feathers to choose from. 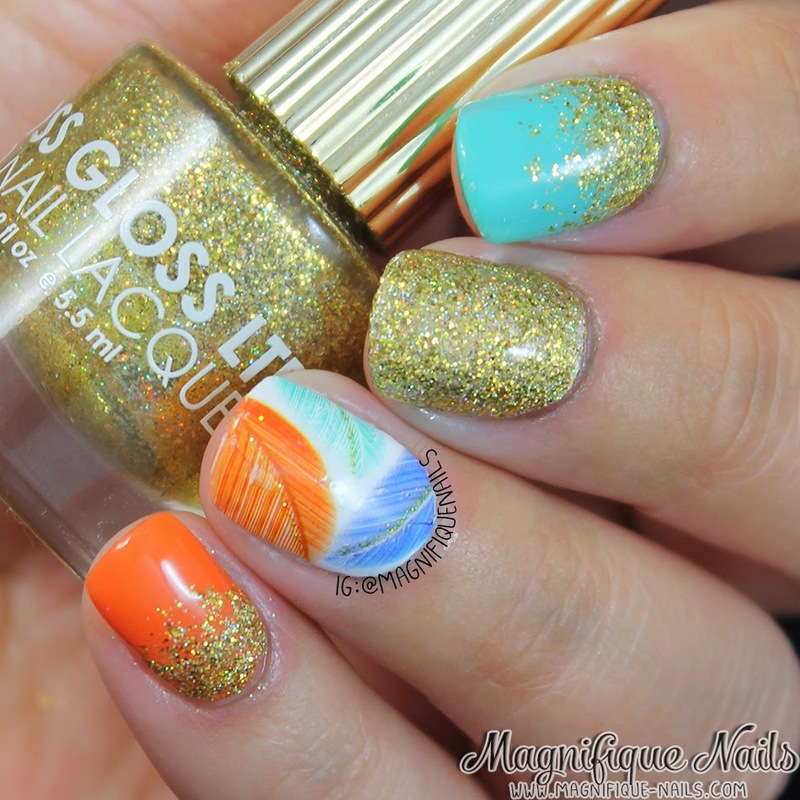 I choose this beautiful mixed colors of blue, mint and orange; that has a glitter lines to accent each of them. You can purchase them here: #1721. For the decals, I first applied two coats of OPI Alpine Snow. 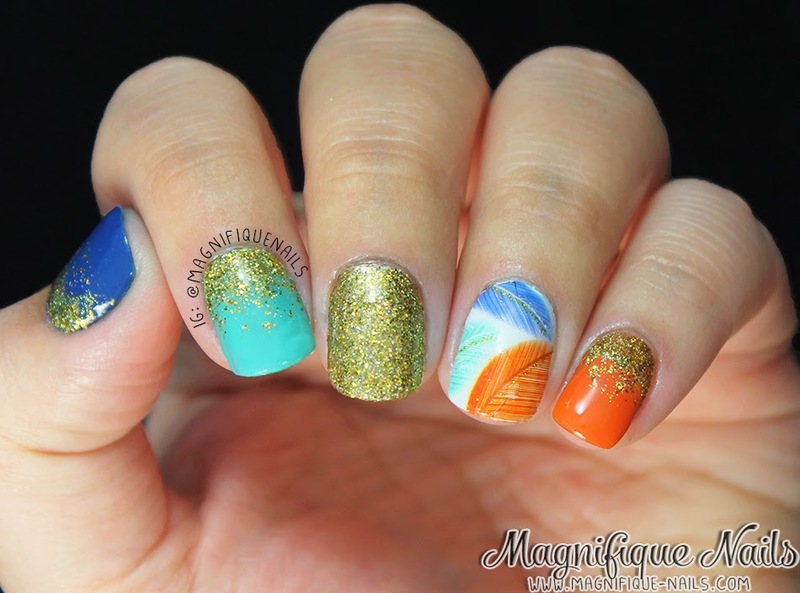 While adding the feathers, I realized it depends on the length of your nails! I had to cut each end of the feathers, since my nails are short. Now, if I were to add one feather, then there will be not point in cutting them! ;) Once I've had the feathers, I decided to paint my nails, to match the colors. 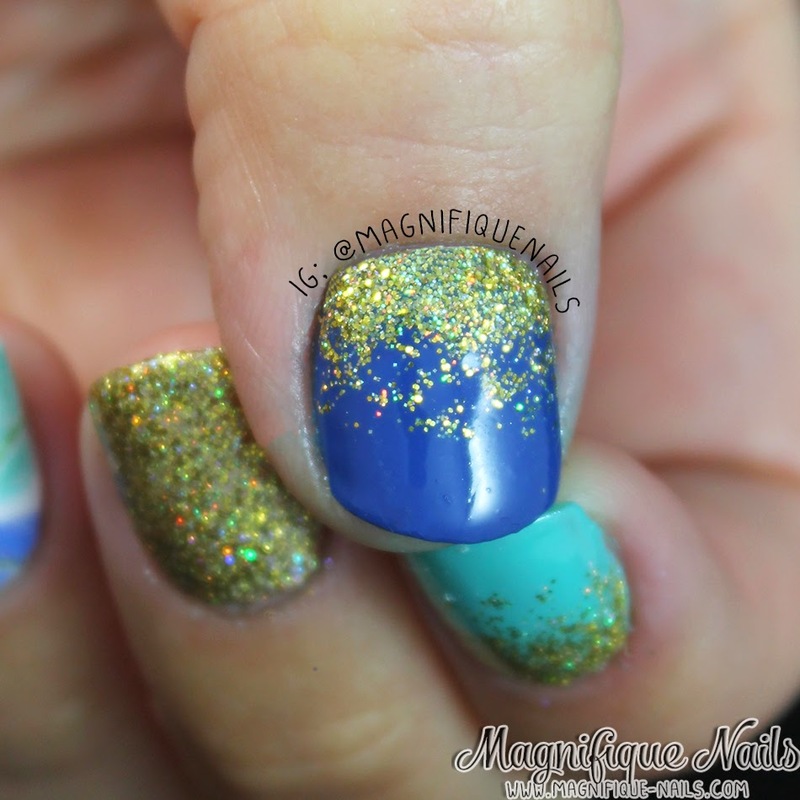 Especially, adding glitters to accent each of the nails. First for each finger, I applied two coats of Essie Mesmerize (for the thumb), Essie Where's My Chauffeur? (for my forefinger), Essie Good As Gold and one coat of Floss Gloss Stun over (for the middle finger) and Sally Hansen Sun Kissed (for the pinky). I then brushed lightly on the each nail with Floss Gloss Stun, to create a gradient look. Lastly, I sealed the design with Duri- Super Fast Dry Through Top Coat, that's it! Overall I really loved how these came out! The decals are .99 cents each and are a great to use for that quick to do look.